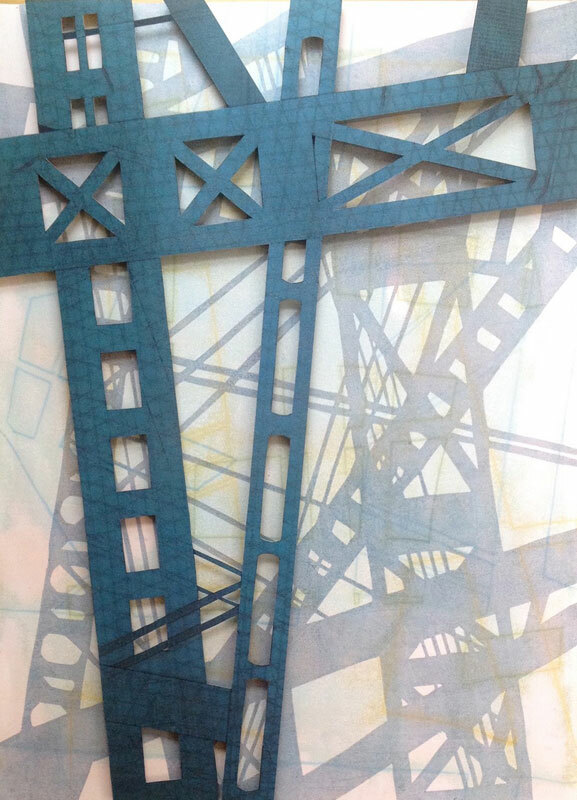 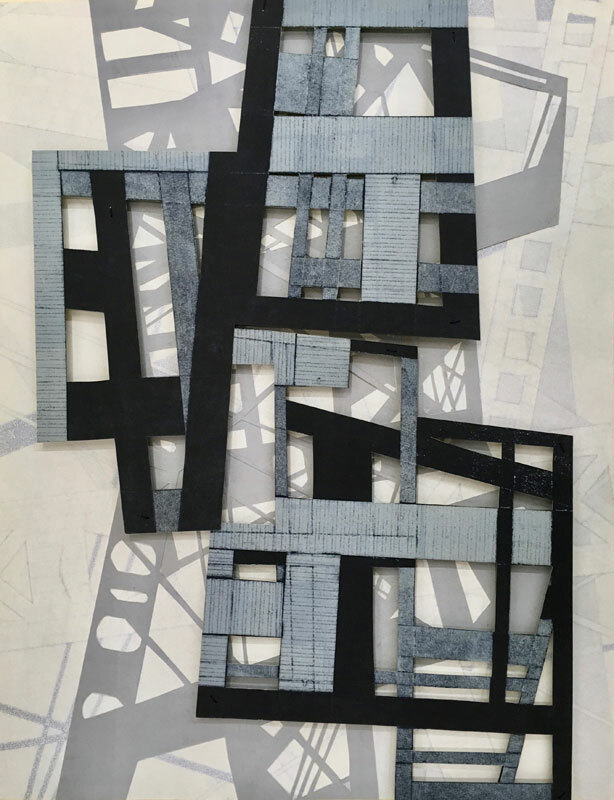 These pieces were inspired by the High Line park in New York which is on a historic freight rail line elevated above the streets on Manhattan’s West Side. 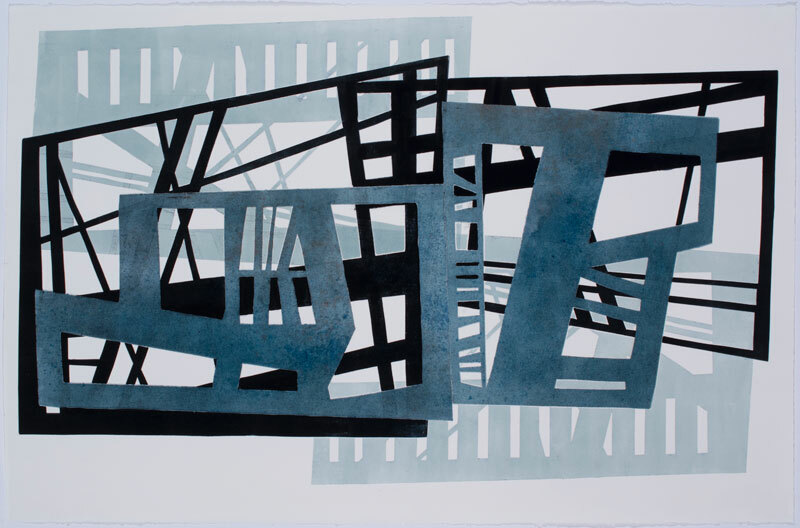 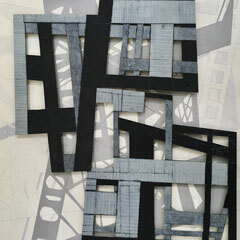 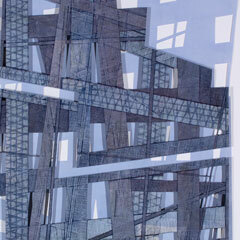 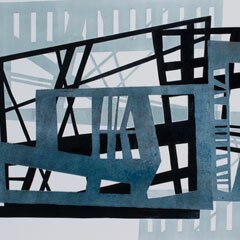 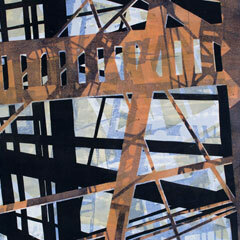 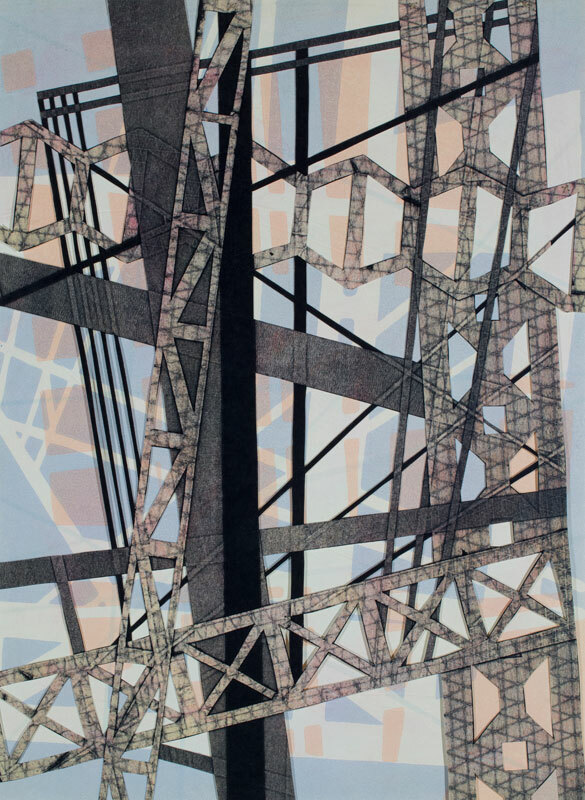 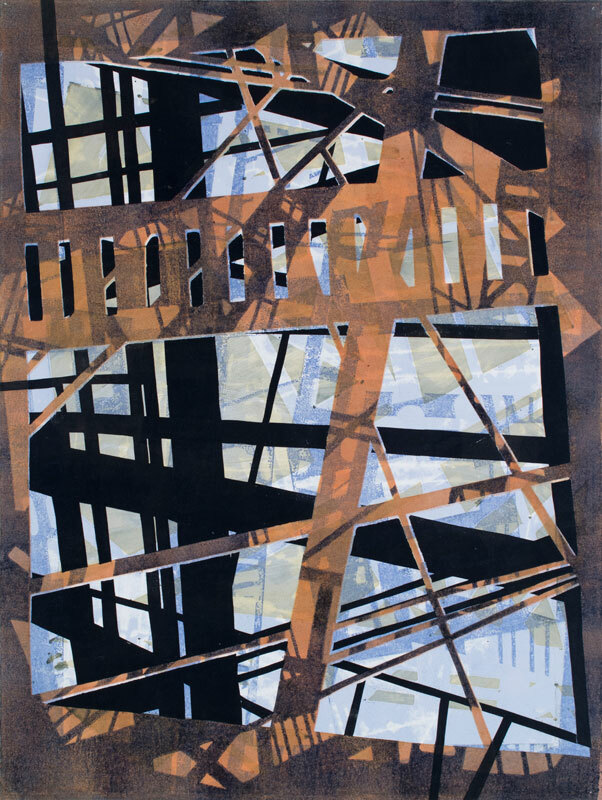 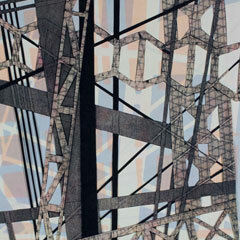 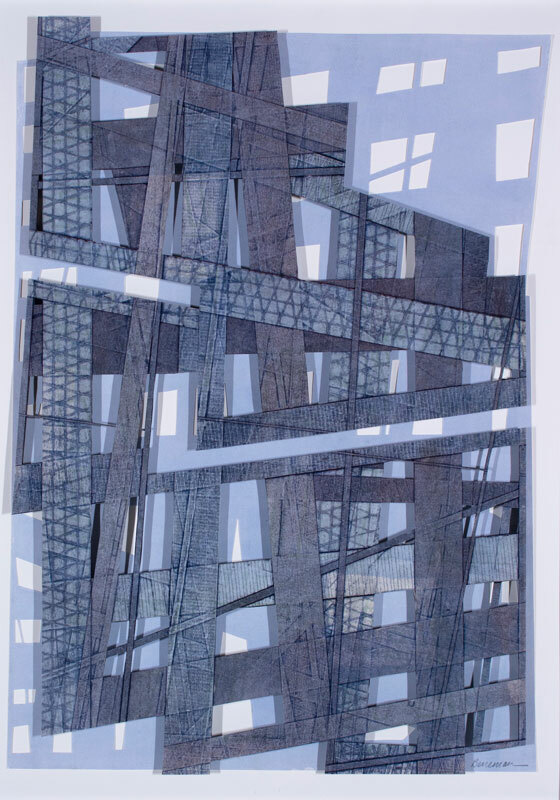 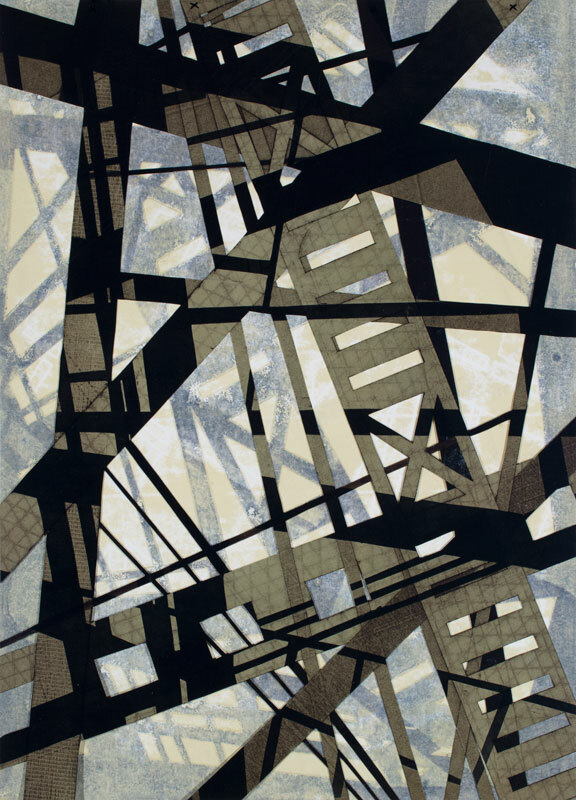 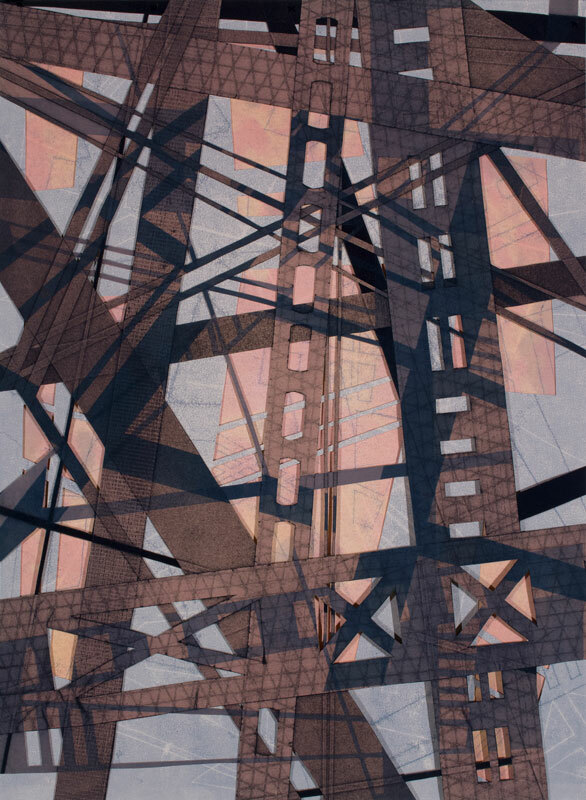 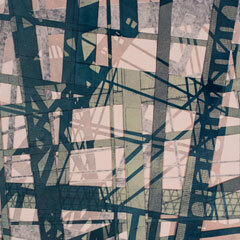 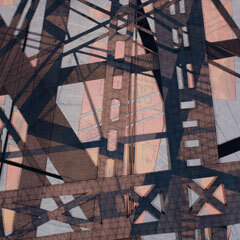 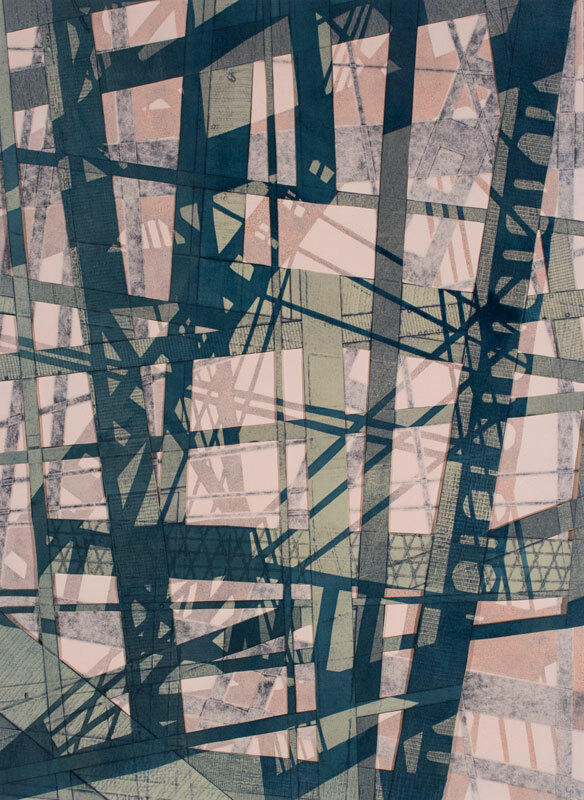 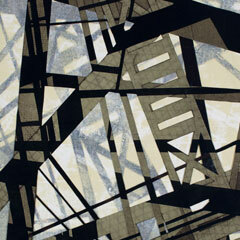 The series is constructed using a combination of processes; collagraph, monoprint and trace monotypes. 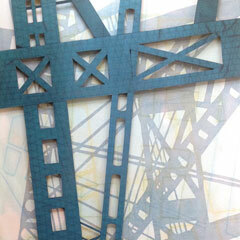 Many of the pieces are then cut out and layered.